Dubai developer Nakheel announced that it made a net profit of Dhs4.96bn in 2016 – a 13 per cent increase compared to Dhs4.38bn in 2015 – and the highest-ever recorded by the company. The 2016 results follow improved year-on-year performances by Nakheel’s retail, hospitality and residential leasing businesses, it said in a statement. Retail revenues grew by more than 70 per cent in 2016 compared to 2015, while revenues from Nakheel’s hospitality business jumped by 50 per cent year-on-year. Nakheel Malls expanded its operating portfolio by opening its phase one extension at Ibn Battuta Mall, neighbourhood Pavilions at International City and Al Furjan and the Club Vista Mare restaurant plaza on Palm Jumeirah. These added almost 400,000 sq ft of net leasable area to previously-existing retail assets, bringing the total operational leasable space to 4.3 million sq ft by the year-end. Nakheel is currently working on other projects to increase its total leasable space to 17 million sq ft. In terms of hospitality, operations began at hotels in Dragon Mart (ibis Styles, operated by Accor) and Ibn Battuta Mall (operated as a Premier Inn), which have 623 rooms between them. “The response to these properties has been overwhelming, reflecting positively on the properties’ location and highlighting the demand in this sector. Both hotels are expected to further contribute to the company’s financial results during 2017 – their first full year of operation,” the statement said. Nakheel’s other planned hotels include a St Regis property at the Palm Tower, Palm 360, Doubletree hotel at Jumeirah Village Triangle, RIU beachfront resort at Deira Islands and Centara beachfront resort and waterpark at Deira Islands. The company also confirmed that residential leasing “performed well” in 2016, with occupancy rates remaining at almost 100 per cent. During 2016, Nakheel also handed over 1,426 land form and built form units, primarily in Palm Jumeirah, Jumeirah Park, Al Furjan and International City. Nakheel chairman Ali Rashid Lootah said: “2016 was a momentous year in which we met and completed all of our restructuring obligations by repaying all Dhs4.3bn of the trade creditors sukuk from our own resources – and recorded our highest ever net profit since Nakheel’s inception. Nakheel awarded construction contracts worth around Dhs3bn in 2016, and is set to award contracts worth Dhs10bn worth this year, said Lootah. 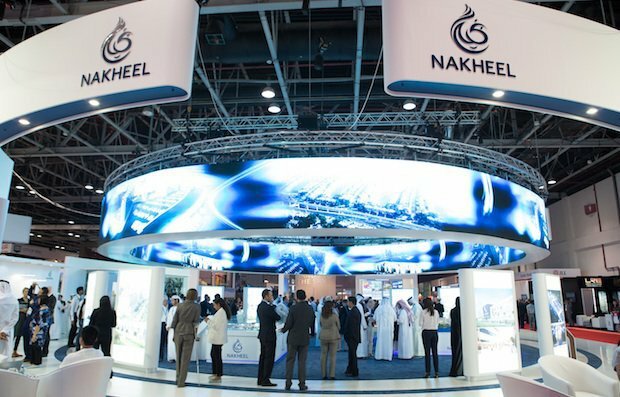 “We are confident that our strategy of having a diversified business will significantly benefit Nakheel. We are currently working towards completing our healthy pipeline of projects and making them operational in the next few years, starting with The Pointe at Palm Jumeirah, one of our key hospitality and retail destinations, which is due to open this year,” he said. “We have already begun handovers to customers on some of our completed projects, signed agreements with new hospitality partners, released the first of many construction tenders and announced an investment of Dhs150m in cycle tracks across our communities, while later this year we will launch sales of our new project on Palm Jumeirah, Palm 360,” he added.